In the rapidly changing healthcare field, education must be the motto for nurses. Nurses who pursue advanced education will gain not only knowledge but also a competitive edge. New hiring practices where more acute care hospitals are showing preference for BSN-prepared nurses have contributed to a rapid increase in the BSN workforce. 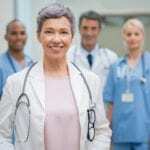 Master of Science in Nursing (MSN) programs have also seen an increase in enrollment as more nurses are going back to school to prepare for advanced practice roles, especially as the demand for nurse practitioners, nurse midwives, nurse anesthetists, and clinical nurse specialists skyrockets. 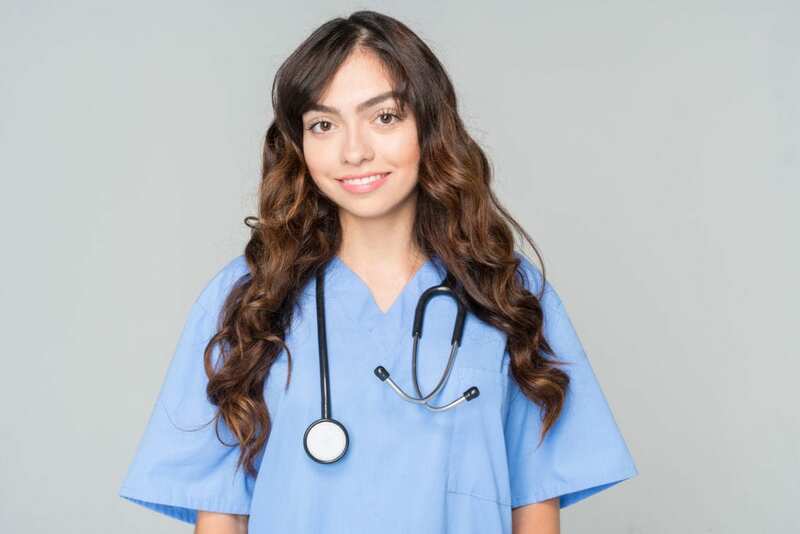 Organizations dedicated to the advancement of the profession have put forth much effort to educate nurses on the value of the BSN and MSN degrees. While nurses accept the research that proves convincingly the value of these degrees, they might balk at the suggestion of a Doctor of Nursing Practice (DNP) because the benefits are not as obvious. The DNP may be costly, challenging, and will require a change of mindset, but as many graduates attest, it is worth the effort – and then some. The number of the DNP-prepared programs and nurses has grown exponentially as nurses recognize the value of educational preparation at this level. Graduates use their expertise to revamp the healthcare system through the measurement and improvement of patient outcomes and contribute to the advancement of the profession. They are prepared for advanced practice roles and have the skill to translate research and other evidence in clinical practice. Unlike the Ph.D. in Nursing, which emphasizes research and knowledge development, the focus of the DNP is practice. More than anything, nurses who enroll in the program will demonstrate their commitment to a career that is rooted in nursing practice. While the role of the advanced practice nurse is primarily clinical, the increasing complexity of health care delivery requires that APRNs demonstrate leadership along with their clinical expertise. The MSN continues to be the most common pathway to advanced practice, as the DC State Board of Nursing and other State Boards acknowledge the credential as the minimum requirement for practice at this level. Times are changing though, and associations such as the American Association for Nurse Practitioners and the American College of Nurse Midwives are making strong calls for making the DNP the minimum educational preparation for advanced practice. The DNP curriculum supports nurses’ development in transdisciplinary communication, evidence-based care, informatics and other areas that will improve the efficiency of health care delivery. For advanced practice nurses, the DNP will strengthen their expertise, knowledge, and ability to perform in a specialized area of care. The terminal DNP degree is the highest level of educational preparation that nurses can attain for clinical practice. A doctorate in nursing earns respect from employers and other health care professionals and can catapult nurses’ careers to the highest level. In the clinical settings, nurses can score promotions based on the merits of their doctoral studies. Outside the clinical setting, graduates can also take up full-time or part-time employment in research or nurse education. DNP graduates have a unique opportunity to fill academic roles – even with no experience in academia. They may also take up consultancy roles or branch out on their own if they have an entrepreneurial spirit. DNP nurses are the highest paid. Based on the weight of the responsibilities and executive positions in health care, DNPs can command salaries exceeding $140,000 annually. In state’s where there’s an imbalance of supply and demand, salary and compensation for nurse executives may be almost three times that of nurses prepared at the BSN level. 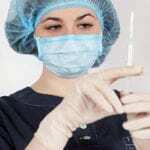 Prestigious hospitals seek out and hire the best-educated nurses, and remuneration packages are enviable. Some nurses choose to operate their own practices or consultation agencies, and the sky is the limit where income and benefits are concerned. Apart from working for themselves, they also get the benefit of setting their own schedules, working on their own terms, and helping the economy through the employment of other nurses and professionals. More than financial rewards, nurses who branch out on their own have an opportunity to bring expert care to rural and medically-underserved communities where care is most needed. It is vital that nurses stay current. Advanced practice registered nurses can catch up with changes in health care and update their practice in the DNP course of study. The curriculum will cover a range of courses in a structured format that nurses will probably not pursue in a continuing education sequence. Most APRNs won’t have a revolutionary upgrade in their clinical skills but will develop expertise in areas that will complement and improve clinical practice. MSN prepared nurses will develop a key skill in the DNP program – the ability to apply research to improve practice and patient care outcomes. Studies in population health, information technology, interprofessional collaboration, and leadership will more benefit nurses in their commitment to providing expert care. The most exciting part of the DNP, for many, is the opportunity to develop their expertise in the area where their passion lies. Some students understand their goals and passion before enrolling in the program, but others will need to identify an area of concentration early in the program to get as much as they can throughout the program. Whatever their status, DNP students will benefit from their interactions with the industry leaders who teach the program. By the conclusion of the study, they will have the opportunity to make their contributions through the DNP project. DNP nurses have an amazing opportunity to influence health care policy that will benefit the three million professionals employed as registered nurses. The DNP credentials give them a platform to speak to those issues that impact nursing professionals within the health care environment. DNP nurses ascend to the level of Board membership on organizational, state, and hospital boards, where representation from practicing nurses is rare. Through their contributions to the Board, they can provide adequate representations of the challenges that affect nurses. DNP candidates must have the drive and commitment to work through the challenges that will arise in the program and not be put off by independent work. The challenges are not insurmountable to a career focused and determined individual who strives for excellence. With the decision to pursue the degree, the first next step is to identify the areas of interest and shortlist institutions that align with core values. You’ll not regret your decision to enroll in a DNP program. Now your next step is to compare program offerings based on the cost, curriculum, track options, and feedback from program graduates. You’ll also need to consider the delivery options – whether online or on-campus, part-time or full-time. Choosing an online program will give you greater flexibility and broaden your options as you can select programs from across the country. The accreditation status should be a top priority. New programs are popping up everywhere, and their accreditation may be under review, so keep this in mind. Online DNP programs like those offered in DC meet the needs of nurses who must balance study with long shifts at the hospital. They are also cost-effective as students will save on the cost of commute or the inconvenience of moving to another city to enroll in the program. Affordability is critical to many nurses – the cost of the program will be a deciding factor for many prospective students. Even with scholarships and awards, the cost of the DNP will exceed that of BSN and MSN programs. In your analysis, you’ll need to calculate the return on your investment by considering how long it will take to pay back loans and how your salary as a DNP will compare with your salary before the DNP. A general requirement for admission to a DNP program is an MSN degree. Some universities, like the Catholic University of America, may admit BSN nurses, but applications are considered on an individual basis. Check with your program of interest to determine the specific requirements for admission. A general outline of admission requirements is highlighted below. The DNP degree is an investment in your future as there are so many ways to make the degree work in your favor. One of your first goals should be to devise a plan for paying for your education. Look at your budget right now and what it would be when you enroll in the university. Determine if you’ll qualify for tax credits, send out applications for grants or scholarships, and apply for federal aid. You might also ask your employer about tuition reimbursement or other benefits for continuing your education. Pooling resources from several places will help you to lower the cost of completing the DNP.